The fear is real. But, it doesn’t have to stop us. Join in the beauty and strength of community for a soul-nourishing workshop to fill your cup so that you can be who you are meant to be and do what you are called to do. We will address five common fears and the spiritual principles that empower us to move forward in creating the life of your desires. Let us rise up together. RSVP on Facebook so that we know to save you a seat. See you in Canada! 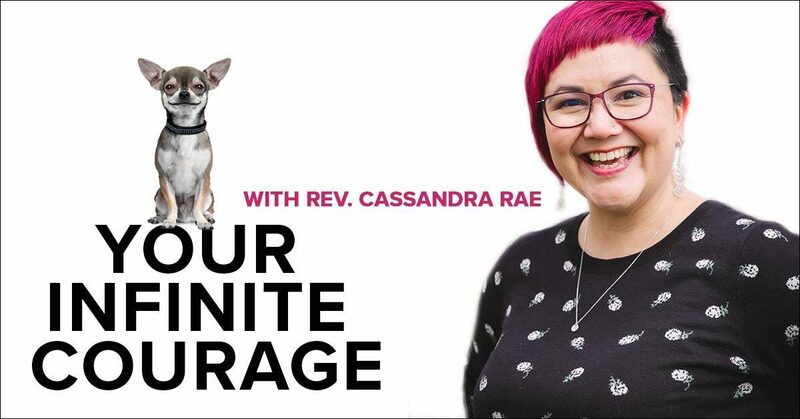 Rev Cassandra Rae is an unlikely minister! She was raised fundamental Christian and spent her twenties being an angry atheist. She discovered the Centers for Spiritual Living (CSL) after enduring a medical crisis that moved her to heal more than just her body. She opened up her heart and began healing old wounds, which led her straight to the unconditional love of Spirit within her. Now she is a passionate speaker, teacher, and writer of an engaged spirituality that embraces our humanity, expands equity and inclusion, and realizes our power to co-create a world that works for everyone. She is a licensed minister with CSL, a certified professional coach, and holds degrees in business administration and transpersonal counseling psychology. She lives in Portland, OR with her husband and the cutest Chihuahuas that ever licked your toes!